Democrat Matthew Dunlap wrote a letter to Mike Pence and Kris Kobach. 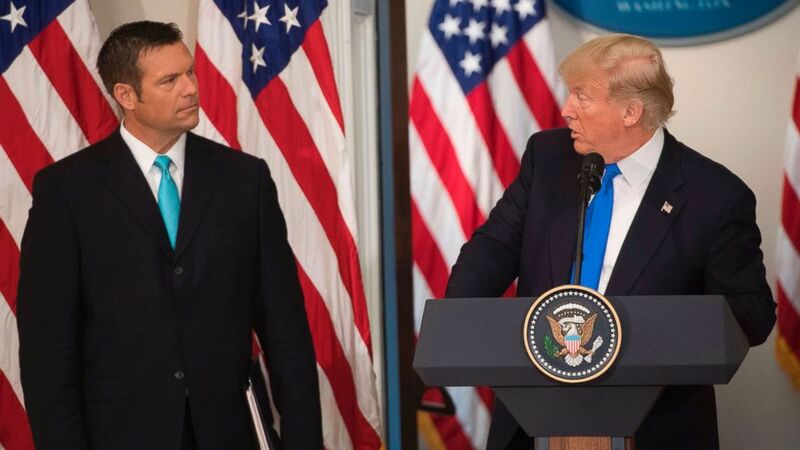 camera (Saul Loeb/AFP/Getty Images, FILE) President Donald Trump speaks alongside Kansas Secretary of State Kris Kobach (L) during the first meeting of the Presidential Advisory Commission on Election Integrity in the Eisenhower Executive Office Building in Washington, D.C., July 19, 2017. A former Democratic member of the Trump administration’s now-disbanded election integrity commission says newly-released documents show no evidence of widespread voter fraud, and that "dissenting or even questioning voices" on the panel were unwelcome. Maine Secretary of State Matthew Dunlap said in a letter to Vice President Mike Pence and Kansas Secretary of State Kris Kobach, the two Republican leaders of the commission, that assertions of widespread fraud appeared aimed at fulfilling a "pre-ordained objective" of finding evidence to back up earlier unsubstantiated claims by President Trump that millions voted illegally in the 2016 election. (Robert F. Bukaty/AP, FILE) Maine Secretary of State Matthew Dunlap addresses the Democratic Convention, in Lewiston, Maine, May 18, 2018. 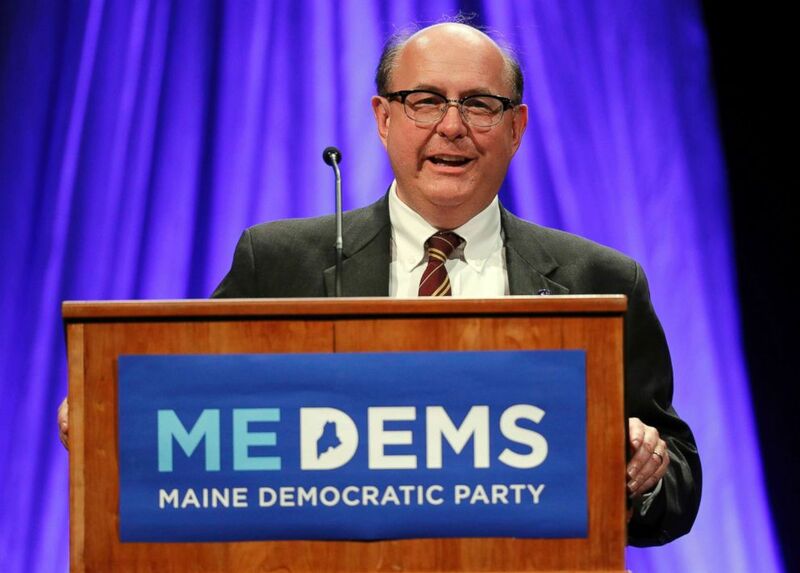 The Maine Democrat, who said he and some other members of the commission were not included in its work, sued in November 2017 to obtain documents from the panel. The administration launched the election integrity commission in May 2017 and disbanded it in January. Kobach, now a Republican candidate for Kansas governor, shot back in a statement. 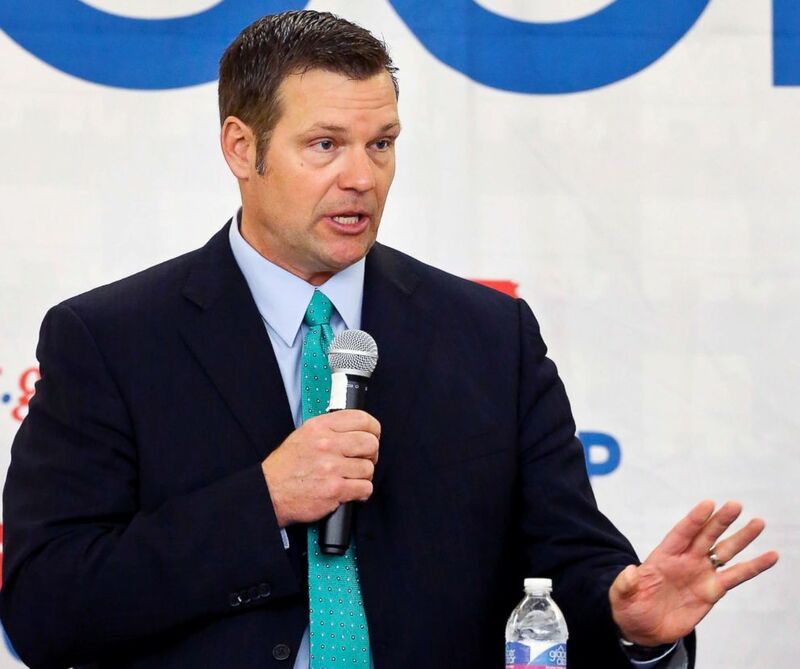 Dunlap responded that Kobach is citing figures never brought before the commission, and for which no evidence has been presented, according to The Associated Press. (Chris Neal/The Topeka Capital-Journal via AP, FILE) Kansas Secretary of State Kris Kobach speaks during a Republican gubernatorial debate in Atchison, Kan., April 13, 2018. Kobach’s spokesperson did not immediately respond to follow-up questions from ABC News on the disputed numbers. Vice President Pence’s office did not respond to a request for comment. 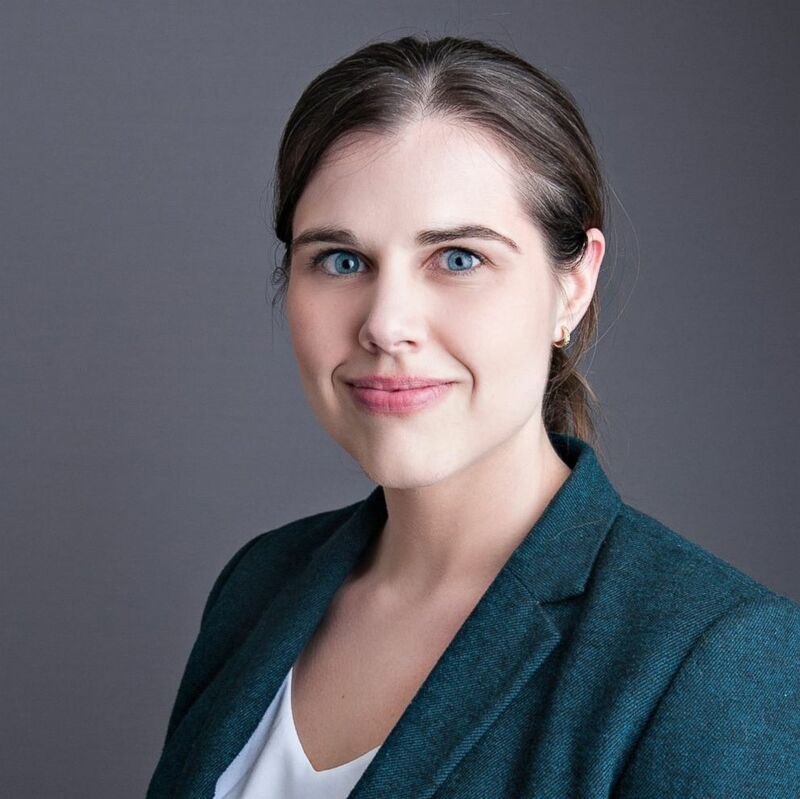 Dunlap's letter and posts come as controversy surrounding the election commission is reverberating in at least one statewide race this year. The Democratic challenger in the race for Colorado secretary of state -- Jena Griswold, an attorney for the Obama campaign in 2012 -- has criticized Republican Secretary of State Wayne Williams for his willingness to comply with a request last year to hand over Colorado voter data to Trump’s commission. Many states refused to comply with the panel's request for voter information, with some experts warning that a central, national repository of voter data could be a target for hacking and election interference. Computer security expert Joseph Lorenzo Hall, chief technology officer at the Center for Democracy and Technology, for example, told ABC News that the commission had lacked adequate controls for protecting "that quantity of sensitive data." (Jena Griswold for Colorado/Facebook) Jena Griswold is pictured in this undated Facebook profile photo. In the wake of Colorado's agreement to send the voter information to the commission, nearly 3,400 residents of the state cancelled their registrations, according to a Denver Post report in July 2017. County election officials said they had never seen anything like that wave of cancelled registrations. In an interview with ABC News, Williams stressed that the records he agreed to hand over are publicly available information that the state routinely shares with the Democratic and Republican parties. The files he agreed to provide include voters’ full name, birth year, party affiliation and voting history, and exclude information like the last four digits of Social Security numbers, driver’s license numbers and full birth dates. 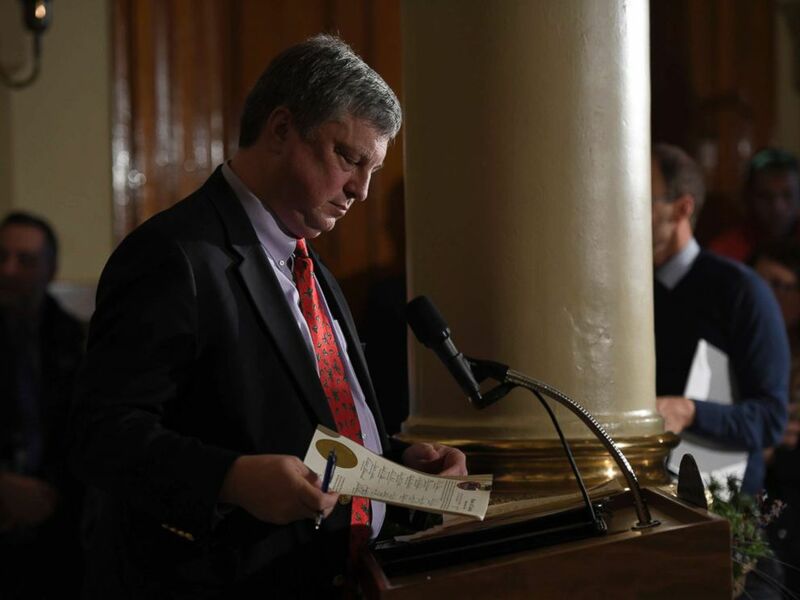 (Joe Amon/The Denver Post via Getty Images, FILE) Colorado Secretary of State Wayne W. Williams checks signatures as he certifies the votes of the Colorado members of the Electoral College at the State Capitol in Denver, Dec. 19, 2016. Williams said Griswold’s objection to cooperating with the Trump task force is evidence of partisan favoritism. Griswold said her concern is about protecting citizens’ private information. She suggested that Williams seemed enthusiastic about complying with the commission.